Hi, I’m Luis Rexach, founder and owner of Glass Magic Colorado. 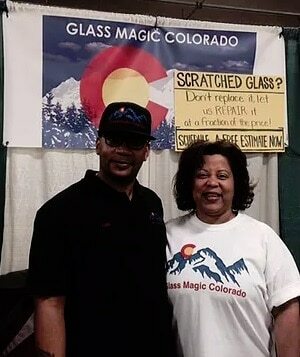 At Glass Magic Colorado, our goal is to save you money by providing a less expensive alternative to replacing your scratched glass. I have over 10 years experience repairing scratched glass and removing hard water stains for homeowners and commercial businesses and storefronts alike. We can make glass look like new again, saving you thousands over glass replacement. We want our restoration services to bring a smile back to those who have had their properties damaged by vandals or the elements. Give us a call today and let us bring a smile to your face with a free estimate!